PARIS/FRANKFURT (March 6): PSA Group has agreed to buy Opel from General Motors in a deal valuing the business at 2.2 billion euros (US$2.3 billion), the companies said on Monday, creating a new regional car giant to challenge market leader Volkswagen. The maker of Peugeot and Citroen cars vowed to return Opel and its British Vauxhall brand to profit, targeting an operating margin of 2% within three years and 6% by 2026 underpinned by 1.7 billion euros in joint cost savings. 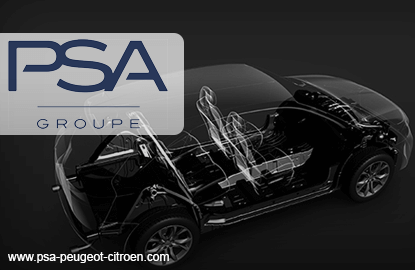 PSA shares jumped 4% after Chief Executive Carlos Tavares said GM's European arm could be turned around using some of the lessons from the French group's own recovery. "We're confident that the Opel-Vauxhall turnaround will significantly accelerate with our support," he said. By acquiring Opel, PSA leapfrogs French rival Renault to become Europe's second-ranked carmaker by sales, with a 16% market share to VW's 24%. GM will receive 1.32 billion euros for the Opel manufacturing business — 650 million euros in cash and 670 million in PSA share warrants. An additional 900 million euros will be paid by the Paris-based carmaker and BNP Paribas for Opel's financing arm, to be operated jointly and consolidated by the French bank. The sale of Opel seals GM's exit from Europe. Eight years after coming close to a sale to Canada's Magna International, the Detroit auto giant has faced renewed investor pressure to offload the business and focus on raising profitability rather than chase the global sales crown currently held by VW. After fending off 2015 merger overtures by Fiat Chrysler with support from her board, GM boss Mary Barra agreed to target a 20% minimum return on invested capital and pay out more cash to shareholders. PSA shares were up 4% at 19.83 euros as of 0814 GMT. GM shares closed 1.2% higher on Friday after Reuters reported a deal had been struck. The two carmakers, which already share some production in an existing European alliance, confirmed last month they were negotiating an outright acquisition of Opel by PSA, sparking concern over possible job cuts. PSA said on Monday the targeted savings would come from purchasing and research and development — avoiding plant closures — as the Opel lineup is redeveloped with PSA technology and vehicle architectures. An ambitious technical convergence push will begin with the Opel Corsa, Tavares indicated, as earlier reported by Reuters. The next version of the popular subcompact will be delayed by a year to 2020 as it goes back to the drawing board, according to presentation slides shown to analysts. "Our planning teams are already working on that," Tavares said when asked about the model. Another five PSA-based Opel models will follow by 2023. For PSA, the Opel deal caps a stellar two-year recovery under Tavares, which avoided bankruptcy in 2014 by selling 14% stakes to the French state and China's Dongfeng, to match a diluted Peugeot family holding. Tavares has since cut about 3,000 French assembly line jobs each year through voluntary departures to reduce the wage bill to 11% of revenue from the 15% level he inherited — which is where Opel's labour costs stand today. PSA reiterated pledges to run Opel as a distinct German subsidiary and honour existing job guarantees to unions, which tend to cover production plans for existing models. Beyond those horizons, however, the outlook for Opel plants may be less certain. "Tavares wants to create healthy competition between the plants," said one person involved in the discussions. "They will be competing for workload." With Europe's auto market near a peak, some analysts predict the combined company may need to close two or three plants in the next five years. Britain's European Union exit adds to the uncertainty over Vauxhall's UK plants at Ellesmere Port and Luton. But Tavares said exports could help fill Opel plants, adding that UK manufacturing brought opportunities as well as risks in the event of a "hard Brexit" in which Britain leaves the EU without a free-trade deal. "This may look to you a little bit romantic," he conceded. The transaction also sees GM retain most of Opel's pensions deficit, estimated by analysts at US$10 billion. Earlier in the talks, the US carmaker had sought to offload a larger share of the liabilities, sources said. Some smaller pension funds will be transferred to PSA, along with a 3 billion euro payment to cover their full settlement, the companies said on Monday. GM will also take an accounting charge of US$4 billion to US$4.5 billion in relation to the deal, which is expected to close in late 2017.